A French retailer based in downtown Paris was suffering from aggressive theft. Young shoplifters simply walked in prepared with plyers and cut the alarm cables of the display security and walked out with the stolen devices. If French Police would catch the youthful thieves and they happened to be 12 years or younger they would not even get fined! More often than not they were not caught and the retailer lost his merchandize. 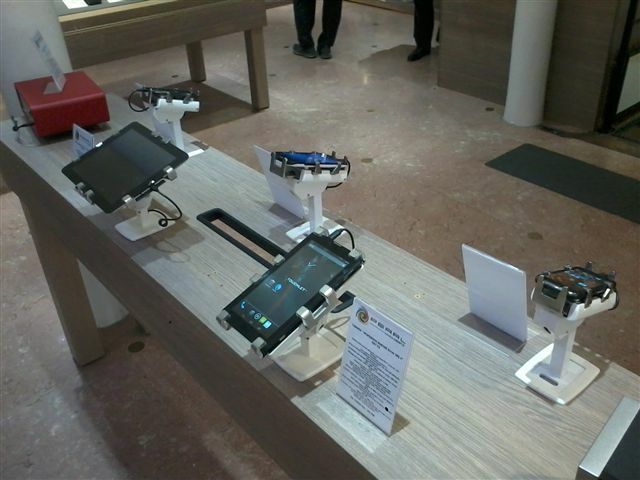 At Euroshop this retailer found Gripzo security mounts and did a test. They are very happy, since installing Gripzo's security enclosures the shoplifters have moved ‘their business’ to other stores. Apparently Gripzo security enclosures works well as a deterrent.